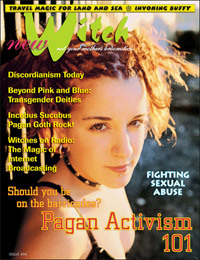 newWitch #4 Pagan Activism (paper) [nw004p] - $6.95 : BBI Media - Magazines that feed your soul. 80 illustrated pages. Published in Summer, 2003.